Rapper's answers during the trial for his suit against documentary filmmakers cause media frenzy. Rapper Lil Wayne is known for his ostentatious stage presence and presidentially commended rap style. He is now making headlines with his performance in a California courtroom. The rapper has filed a lawsuit against Quincy Jones III, son of famed produer Quincy Jones, over of a documentary about Lil Wayne's life entitled, “The Carter.” Lil Wayne claims Jones used his music without authorization and is due compensation, according to reports. 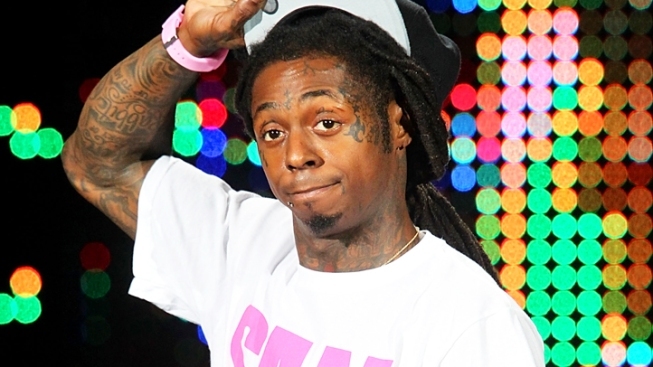 Lil Wayne knew about the film and had participated in its making before changing his mind, calling it a “scandalous portrayal” of his life, XXL reported. A video of a pretrial deposition in June leaked earlier this week on TMZ showing Lil Wayne addressing lawyer Pete Ross, who is representing Quincy Jones III. In the video, Wayne claims to not remember the gun bust in New York that lead to his widely publicized 8-month stint at Rikers Island. Wayne also questions the lawyer’s intelligence and the way he phrases his questions. He even questions the lawyer’s safety, saying " You know he [the judge] can't save you, right? In the real world. That guy right there. He can't save you in the real world. Just so you know." When the rapper was asked if he had ever hired a photographer for an event he responded: "Have I ever hired a photographer to photograph an event? Sorry, sir, no. I’m a superstar. People hire them themselves to photograph me. We don’t hire them."